In November 2018, Musk was replaced by Robyn Denholm as the chairperson of the company’s board. San Francisco: In a move that is likely to weaken the powers of Electric Vehicle (EV) maker Tesla Founder Elon Musk and cut some of his strongest allies from the board of directors, the company has said that four of its 11-member board would step down by 2020, thus shrinking the board’s size by more than a third. The EV maker reportedly said two directors plan to leave its board in June and two more intend to step down next year as part of a move to improve corporate governance of the electric car company. “Brad Buss, a member of the board since 2009, and Linda Johnson Rice, who joined two years ago, have asked not to be re-elected when shareholders convene on June 11 for Tesla’s annual general meeting, the company said in a preliminary proxy statement,” The New York Times reported late on Friday. The departing members of the board include Antonio Gracias and Stephen Jurvetson — close friends of Musk who are also directors in SpaceX, Musk’s space launch company. A member of the board since 2009, Buss was also the Chief Financial Officer of solar panel installer SolarCity for two years until Tesla acquired the firm in 2016. “Shrinking the board will ‘allow it to operate more nimbly and efficiently’,” the company was quoted as saying in The NYT report. Musk had agreed to step down as the Chairman of Tesla for three years and pay a $20 million fine in a deal with the stock market regulatory authority, Securities and Exchange Commission (SEC), to resolve securities fraud charges. Here’s the paradox: it takes people to automate. Enterprises are moving aggressively to automate as many of their processes as possible, through artificial intelligence, machine learning and robotic process automation. 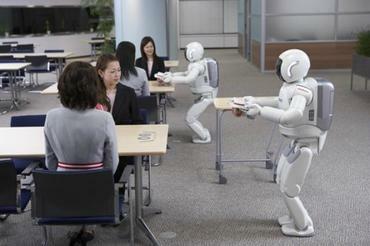 Automation opens up new types of career opportunities, from programming to training. Automation also liberates employees for higher-level tasks. But it can’t simply be inserted into operations without forethought and consideration of the wider impact. That’s the word coming out of a survey of 4,000 employees released by Automation Anywhere. Overall, people don’t fear automation — if anything, most welcome it. They express high levels of curiosity as to how AI can help them do their jobs better. Almost three quarters (72 percent) see the technology as something they work with, rather than something that will replace them. This is opposed to just eight percent of respondents who strongly feel the opposite. A majority (57 percent) of employees say their productivity would accelerate in the long run if their organization provided more opportunities to trial different types of automation or AI, compared to just 16 percent who feel things will bog down. Currently, 38 percent of employees use some form of automation to perform their jobs, and there is an expectation that this number will continue to increase. The survey’s authors, led by Dr. Chris Brauer of the University of London, says the key to automation is not wiping away and replacing human workers, but finding ways for human and digital workers to work side by side, complementing one another’s skills. “We found that augmented companies not only enjoyed 28 percent greater performance levels, but also scored 33 percent higher on factors deemed to make a workplace more ‘human,'” he points out. Tesla Inc. will bid farewell to longtime directors and reduce the size of its 11-member board to nine as the automaker ushers in a new era of corporate governance. What company announced plans to finally bring new diesels to the U.S.? Where are new incentives being offered on used EVs? 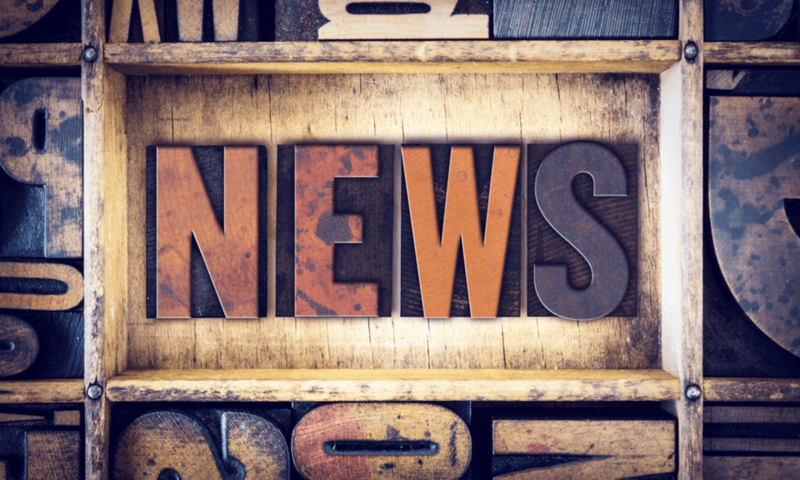 This is our look back at the Week In Reverse—right here at Green Car Reports—for the week ending April 19, 2019. This week was all about new-car debuts at the New York and Shanghai auto shows. In New York, Toyota showed a new Highlander Hybrid rated at 34 mpg combined, up from 29 mpg for the previous model. Mazda announced that it will begin selling a new diesel version of its CX-5 SUV rated at 28 mpg combined. It will be the first new diesel passenger vehicle on the market in four years. 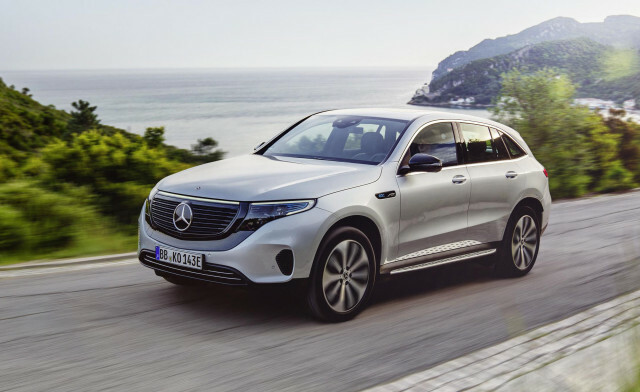 Mercedes-Benz announced a new signature launch edition of its upcoming EQC electric SUV. Called the Edition 1886, it is named for the company's invention of the internal combustion automobile in, you guessed it, 1886. And Hyundai's Genesis luxury division revealed its tiny Mint concept city car. 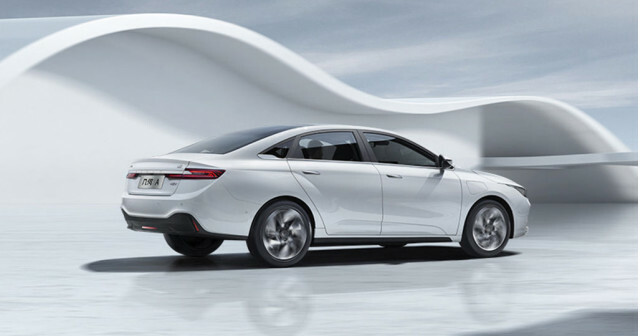 In Shanghai, several mainstream automakers released new electric models for the Chinese market, including Honda and Kia. Karma, the Chinese-owned California startup that builds the continuation of the Fisker Karma, introduced two new concept models in Shanghai as it seeks new partnerships with automakers. Chinese startup EV-maker Nio revealed its new ET Preview sports sedan concept. Geely announced a new electric car brand it calls Geometry, along with a preview of Geometry's first production model. And Aston Martin chose Shanghai to reveal its new electric track car, the Rapide E.
In New York, a coalition of automakers, charging companies, and states announced the strategy for it "Drive Electric, Drive Change" marketing campaign to promote electric cars in Northeastern states. The plan calls for making chargers more visible and marketing to Millennials. 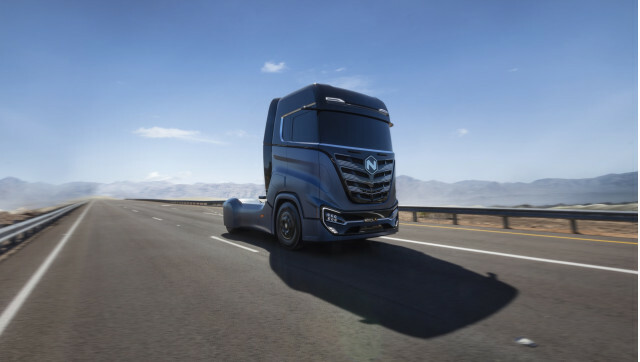 At the same time, U.S.-based startup semitruck-maker Nikola showed off two new hybrid hydrogen semis at an event in Phoenix. A new trademark filing revealed a likely new name for GM's next electric car: the Chevrolet Bolt EUV. 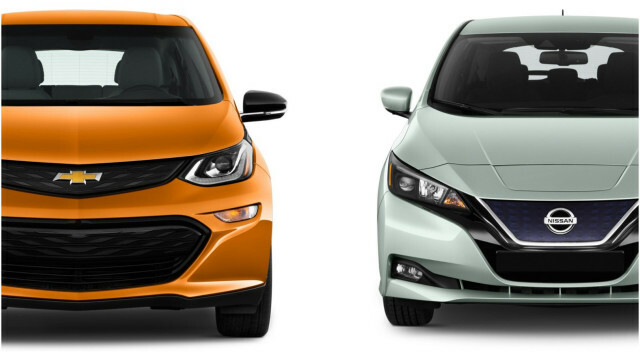 We got a chance to drive the 2019 Chevy Bolt EV back-to-back with the new long-range 2019 Nissan Leaf Plus, and found that the Leaf more than holds its own. Earlier in the week, we took a look at sales of all the plug-in and electric cars on the market and found that sales dipped across the board in the first quarter of 2019, led by Tesla. Tesla also announced that it will start a recycling program for used batteries from its cars at its battery Gigafactory in Nevada. Now that tax credits for electric cars in Ontario have ended, and the Canadian government has proposed offering a new national tax credit, a pair of non-profits have teamed up to offer buyers in the province a rebate on used electric cars. Nidec Corporation (TSE: 6594; OTC US: NJDCY)(the “Company” or “Nidec”) announced today that its Board of Directors has resolved to acquire 48.0% shares of common stock outstanding of Chaun-Choung Technology Corp. (TWSE: 6230)(“CCI”) in Taiwan by way of Tender Offer (the “Tender Offer”) . Nidec has dealt with a wide variety of motors including brushless DC motors featuring energy saving, long-life, low-noise, and provided them to customers in various segments including IT communication equipment, office automation appliances, industrial appliances, household electric appliances for a long time. These areas of business are managed by Nidec’s Small Precision Motor Business Unit aiming at sales of 600 billion yen under “Vision 2020”, the Company’s mid-term strategic goal in which the Company plans to achieve two trillion yen in sales for the year ending March 31, 2021. Recently, customers’ specification requirement relating to heat dissipation and cooling has been stricter than ever before in the foregoing industrial segments. At this point, Nidec has realized to accommodate such customers’ stringent request by enhancing the Company’s own quality for heat dissipation and cooling and by providing add-value proposition to customers with some extra value. CCI, incorporated in 1973, has manufactured and provided thermal module product which composes of heat sink, heat pipe, vapor chamber etc., mainly to IT communication equipment sectors and CCI has strong expertise in this area. Through this Tender Offer, the Company aims to improve thermal management technology and its product development capability through collaboration with CCI and to propose a thermal solution by combining motor products with CCI’s thermal module to customers in a wide range of markets. (2) Target Company Chaun-Choung Technology Corp. Unless the terms of the Tender Offer are met, the Company may extend the Tender Offer Period for up to 50 days. Note: The price of the Tender Offer is determined based on considering the outlook for CCI’s business performance and the potential value of owned technology. Note: This number is the amount required to make payment related to the purchase of 48.0% of CCI’s outstanding shares. The Company plans to pay all the required amount with own funds. purchased If 28,838,695 shares of CCI (which are equivalent to 33.4% of the shares outstanding) are to be sold, the Company will execute the Tender Offer. (8) Maximum number of shares to be purchased The maximum number of shares is set to 41,444,831 shares (which are equivalent to 48.0% of the shares outstanding) to be acquired. the premise that the Tender Offer meets various conditions which normally required for similar transactions. (10) Others The Company reached an agreement with 37 shareholders of CCI that all of them subscribe the Tender Offer. The number of shares to be subscribed will be 28,838,695 shares (which are equivalent to 33.4% of the shares outstanding). If this agreement is executed, it will be possible to acquire shares meeting the floor of 28,838,695 shares of the Tender Offer, and condition of the Tender Offer is fulfilled. (2) Headquarters 12F, No.123-1, Xingde Road. Sanchung, New Taipei City, Taiwan, R.O.C. (9) Relationship between the Company and CCI Capital relationship Not applicable. (*) The figure represents the number of shares acquired if 48% of shares in CCI are acquired through the Tender Offer. (*) There are possibilities of schedule change or extension due to the status of procedures for approval from competition regulatory authorities. Once the result of the Tender Offer comes out, Nidec will disclose the results of the Tender Offer as promptly as possible. In addition, Nidec expects the the impact of the Tender Offer on the Company’s consolidated financial results ending March 31, 2019 will be minor, but if some impact affects the Company’s results outlook, Nidec intends to make appropriate disclosures in accordance with the applicable rules of the Tokyo Stock Exchange. Tesla said two directors plan to leave its board in June and two more intend to depart next year as part of a move to improve corporate governance of the electric car company. Mr. Gracias’s early departure must be approved by shareholders at the June 11 meeting.